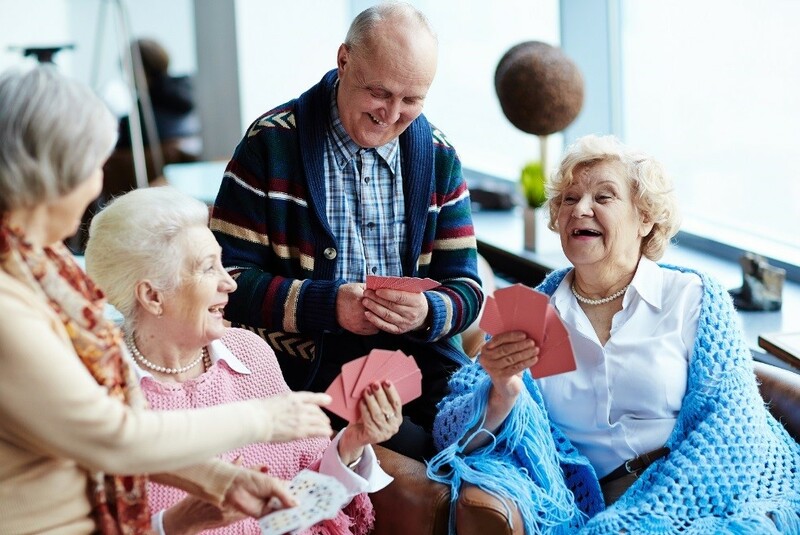 Despite the fact that assisted living communities are proven to boost independence and enhance the lives of those residing in them, there seems to be several misconceptions about this popular senior living option. And, these misconceptions regarding the lifestyle and level of care offered can lead to hesitation on the part of all those involved in the decision-making process when it comes time to consider a higher level of care. Indeed, you or your aging family member may be able to cite an entire list of reasons why an assisted living community isn’t the right choice for your needs. However, certain signs that assisted living services could improve quality of life should not be ignored. For example, if you or your family member has experienced a decline in health or mobility, or perhaps social isolation is becoming a major concern. Knowing the truth about life in assisted living communities allows you to make a better choice for your health and your future. Of course, moving to an assisted living community is never a decision that should be taken lightly. There’s no doubt that transitioning from a long-time home and adapting to a new routine can be a challenging situation for you or your family member. However, it’s important for potential residents to understand all the benefits these communities offer and how much their lives will improve overall when they are receiving the right level of care. Assisted living communities don’t feel like home. It’s common to picture an assisted living community to be a sterile, hospital-like environment resembling a nursing home. However, today’s assisted living communities often feature contemporary designs and personalized, private apartments. The living space is smaller and more manageable than a large home, and residents are encouraged to bring along favorite items like furniture and décor to create a comfortable home. Assisted living communities are too expensive. You or your family member might be concerned about the costs associated with moving to an assisted living community, as another common myth is to believe that it’s cheaper to stay at home and receive in-home care services if or when it becomes necessary. However, when you add up all the monthly expenses involved with maintaining your home like the mortgage, utilities and upcoming repairs needed, as well as include any healthcare costs, assisted living is often much more affordable than originally believed. Assisted living communities are boring. Think there is nothing to do in an assisted living community that will spark your interests? Think again. Your or your family member are sure to find an activity to enjoy on the community calendar, which is designed to enhance the lives of residents and keep them engaged in the world around them. Assisted living communities are full of residents who are frail and unhealthy. If you or your family member needs minimal assistance with daily activities like bathing, dressing or medication management, the thought might be that an assisted living community isn’t a good fit at this time. It’s common to picture residents who are too ill or tired to leave their rooms on a regular basis, however this is certainly not the case. Plus, studies show that waiting to move until a serious decline in health occurs and it becomes medically necessary is not a good idea. Seniors who make the move while they are still active and mostly independent have a higher chance of staying that way, longer. Assisted living communities take away your independence. You or your loved one might think you’ll be relying on the staff for everything, including if you would like to leave your apartment. It’s important to remember the staff is available around-the-clock to offer care as it’s needed, which provides peace of mind for your health and safety. The staff wants to ensure you’re enjoying the highest level of independence possible, not take it away, and most residents only receive care when they need it, living an active, vibrant lifestyle the rest of the time. As Kalispell’s only life plan community, at Immanuel Lutheran Communities we offer residential living, assisted living, skilled nursing, rehabilitation and post-acute care, and memory care, all on one beautiful campus in the Flathead Valley. Contact us to learn more about the living options and lifestyle offered at our Kalispell retirement community.